This is one of the most moisture-rich activity of all. Why? Because it takes the longest. The longer you spend with the conditioner in your hair the more it will soak into your hair. Some naturals practice this regularly, which is called the greenhouse method. Anybody else hate doing laundry? No? Just me? Well this is one time where I don't mind. Because I'm not doing anything anyway, I feel more efficient when I actually get something done that I've been meaning to get around to. I don't mind putting in three different loads because that's just more moisture for my hair. Not only that, but this is one of those tasks that you can double down on. I can get my laundry done while I wait on my hair, and some third task while I wait on my laundry. It's a win-win! Whether it's assigned or for your leisure, what I enjoy about this is that I can actually do it under the dryer. Some of the tasks on this list rely heavily on the heat from your scalp and time. This, however, can be as long or as short as you please because the heat will help the conditioner settle into your strands much faster. Again, another task I'm not very fond of. Hey, it needs to be done and what better time to do it? You can do this under the dryer if you have flash cards or an e-text reading. Otherwise you can sit down for some homework and wait it out. If you have a portable dryer like this one I bought from Amazon, you can still sit under the dryer even if you're working on homework. I do this one a lot. I'll use a deep conditioner but I won't really have time to let it sit. So, I'll start my shower with washing my hair (up to the point of applying the deep conditioner). I then let the deep conditioner sit on my hair for the duration of my shower with a shower cap on. The steam from the shower should be sufficient in helping work the conditioner into your hair. 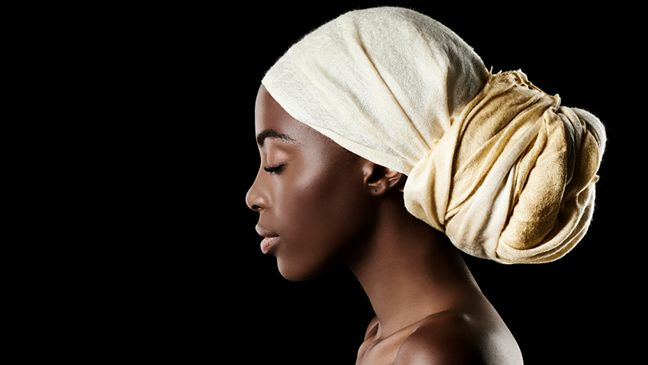 This article was written by Marchay Sledge of ChayNaturals.com and published on CurlyNikki.